Are these the journal articles you’re looking for? Getting to journals and journal articles is still more difficult than it should be – how are online services trying to help students and academics get to the latest research? TechCrunch reports that Academia.edu has launched a directory of 12,500 academic journals as part of their website. The idea seems to be that by using your social network of connections, recommended readings will come to you, rather than having to seek them out yourself. The journal directory has a simple keyword search interface and you can also browse by topics – such as history, economics or chemistry. Titles are not ranked according to their impact factors, perceived authority or other qualitative measures, but according to how many followers they have amongst the Academia.edu community. JournalTOCs a free and searchable collection of scholarly journal Tables of Contents (TOCs). It contains TOCs for nearly 15000 journals collected from over 600 publishers. By registering, users can get email alerts about new TOCs and save their list of TOCs online. The Directory of Open Access Journals covers free, full text, quality controlled scientific and scholarly journals, across all subjects and languages. Almost 6000 journals are listed in the directory and nearly 2500 journals are searchable at article level, providing access to close to half a million articles. The key issue that these services are trying to address is solving the conundrum of getting academics and students to relevant individual articles when they are spread all over the Web, as in the case of Open Access titles or behind the paywalls of a myriad of commercial publishers. 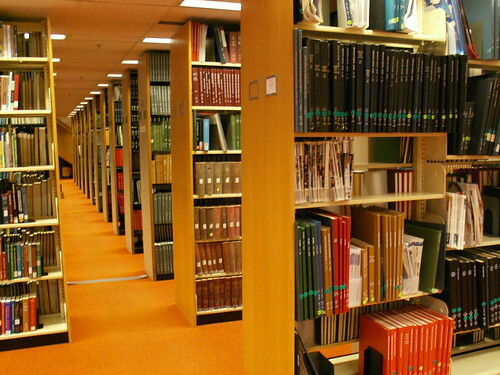 Electronic journals and bibliographic databases are highlighted in the Tour section. The difference between Open Access and commercial publishing is examined. Students get the chance to search for themselves in the Try It section looking at Google Scholar. However, it’s clearly an evolving area and it will be interesting to see whether Academia.edu can succeed in using these social networks to help students and academics find their way through the journal article maze. Picture credit: Dentistry Library: Journals stacks (serials) from rosefirerising on Flickr.